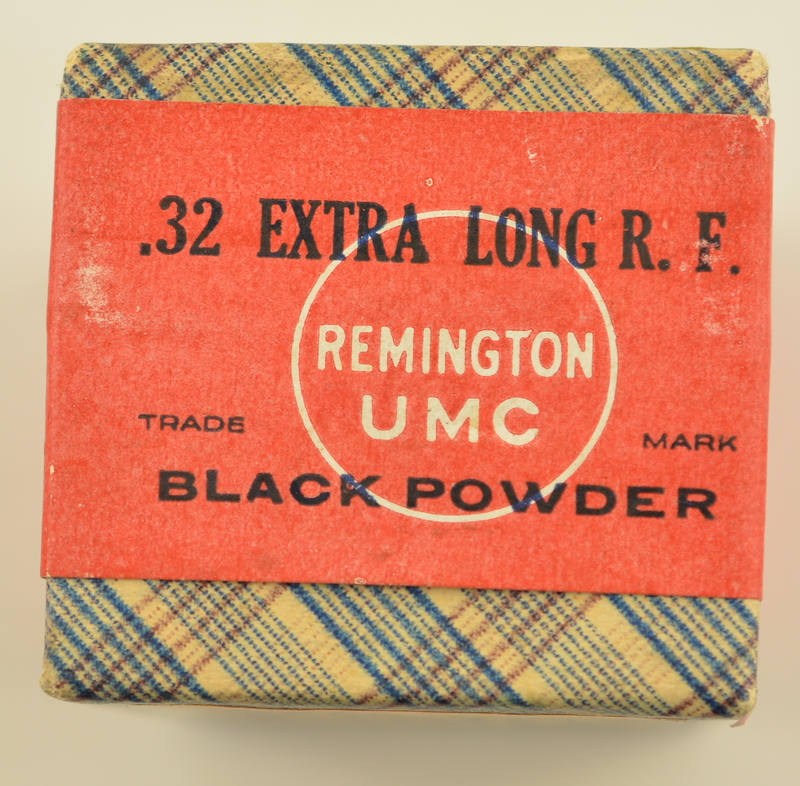 Description: This green label, black powder box if full , sealed, and in excellent condition. 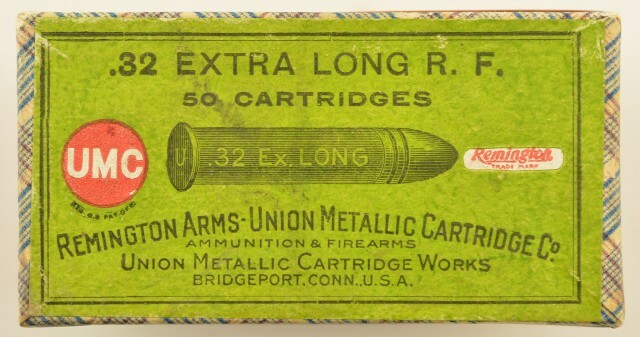 The only detraction is some light wear on the wallpaper on one end. The red sealing band is complete, bright,and calls out REM-UMC, Ballard, Wesson, and Stevens. 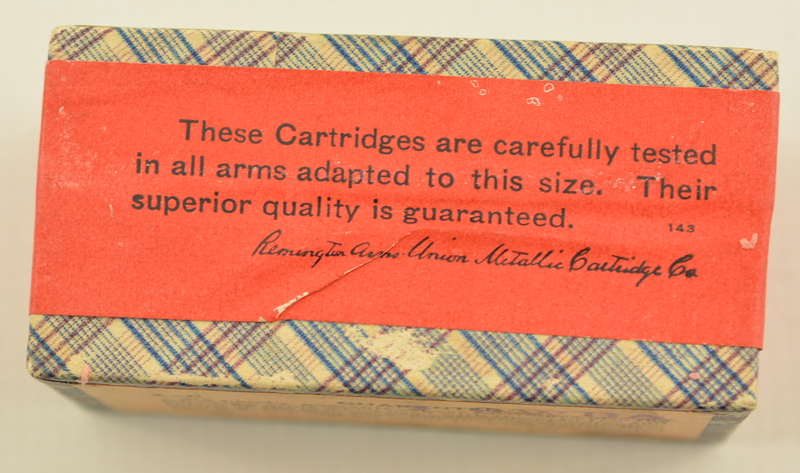 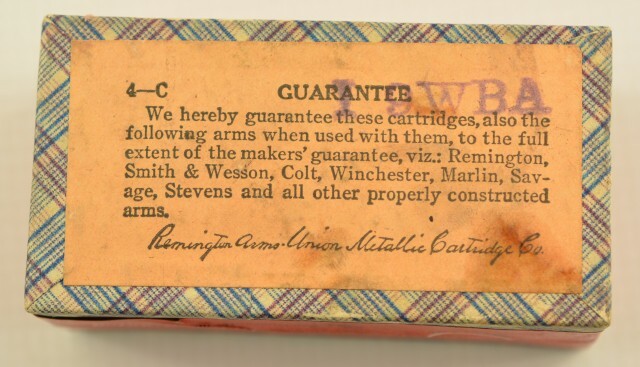 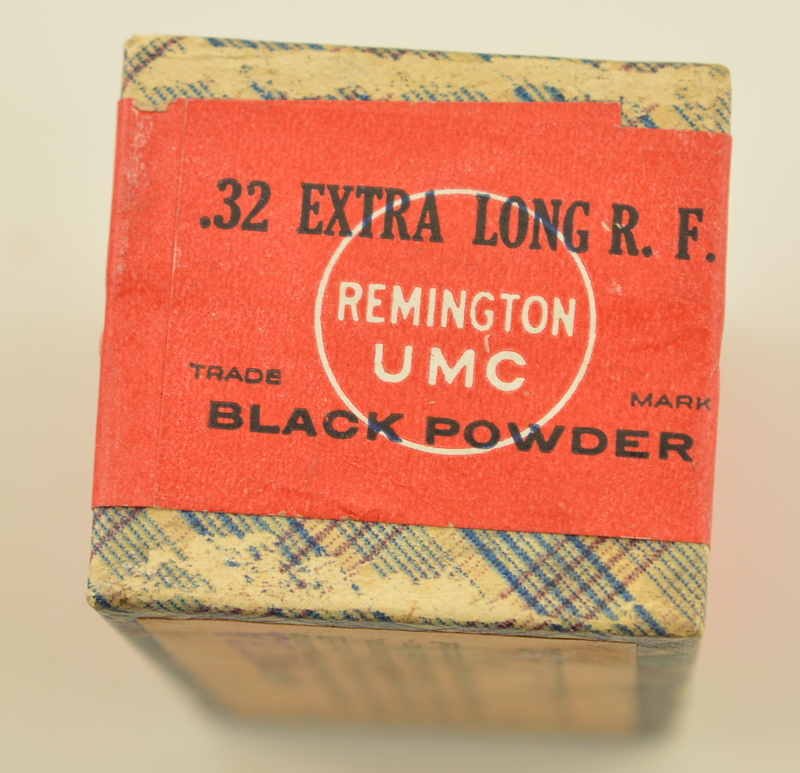 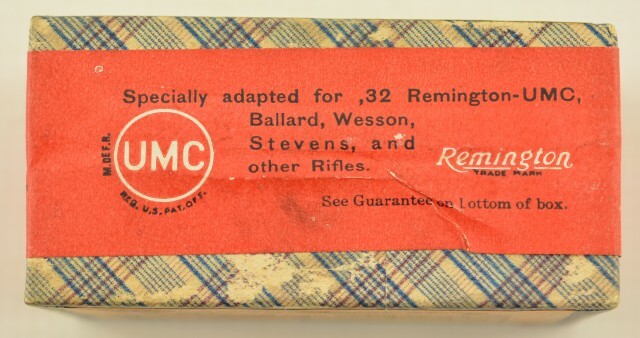 A very rare, super condition box that will add to any rimfire display.